One of the things that continues to strike Laura Ritchie, Kiwanis Event Director, is how parkrun is a truly global phenomenon, and how it is spread largely through word-of-mouth. Here, she reflects on the first 4 months of parkrun in London, ON. 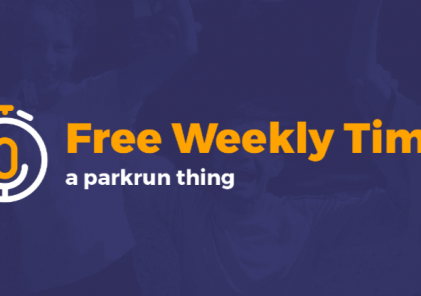 The reason Kiwanis parkrun came to be is because I heard about parkrun from my sister who lives in Scotland while my Event Co-Director Alan heard about it from his sister, who lives in Australia! We independently reached out to Euan, who had previously set up Basingstoke parkrun, moved to Canada and became Country Manager here, facilitating the start of three events within the first few months of parkrun launching in Canada (and helping us grow to 21 events seven years later!). He put Alan and I in touch with each other and fast forward a few months, London had its own parkrun event. So what’s the point of this litany, you may ask? Simply that I think it’s astounding that in only four months, I’ve met and befriended so many new people from so many countries, and also so many locals that I may not have crossed paths with otherwise. I’ve heard fascinating personal stories. I’ve been inspired by watching people persevere to complete the course in hot and cold, rain and shine, snow and ice. All by showing up at the same place on the same day at the same time, for free, with no pressure or obligation. Just a group of like-minded people who come together to enjoy the physical, mental and social benefits of a good walk or run in the park. We can’t wait to see what the next four months will bring!